Usually, when you open a web page which has some embedded videos, you are required to install the adobe flash player to watch them. Flash videos have become a dominant choice for most streaming video sites, YouTube, Dailymotion, Liveleak, Facebook video, Break, etc. If you like to enjoy favorite online video content offline, here are some feasible ways for you to grab flash videos from websites. For downloading online videos, using desktop software or a browser plug-in is a general trending. 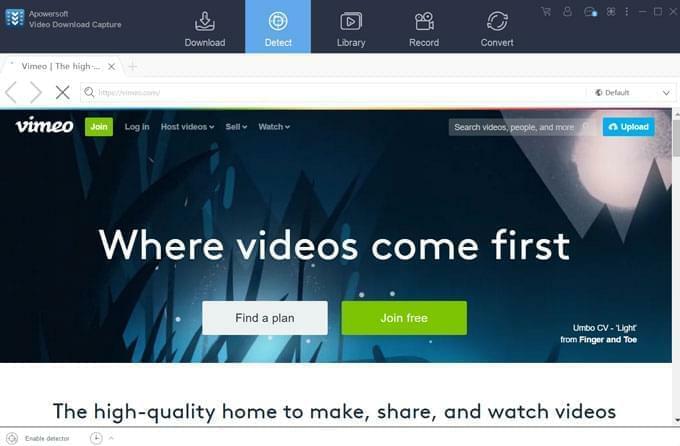 However, you probably will worry about the risky of bringing in malware, virus and adware, or wasting much time trying different software until find workable one to grab flv videos. In details, the online flash video grabber works to achieve the video grab tasks on its website. By inputting a video link, you will easily grab wanted videos to computer hard disk. Besides, if you want to grab HD video from YouTube, Video Grabber will not let you down. It can grab any available video modes, 1080P, 720P, 480P and 320P. Take a closer look at the extensive list of supported websites. You will be gratified. They are popular funny video sites, like Collegehumor and Funnyjunk, or useful how-to video resources, like lynda.com and videojug, or Vimeo HQ video content, Worldstarthiphop music videos.Since the online video grabber is going to support more websites, you will gain ability to free grab flash movies, episodes, game videos, cartoons from more online streaming sites. 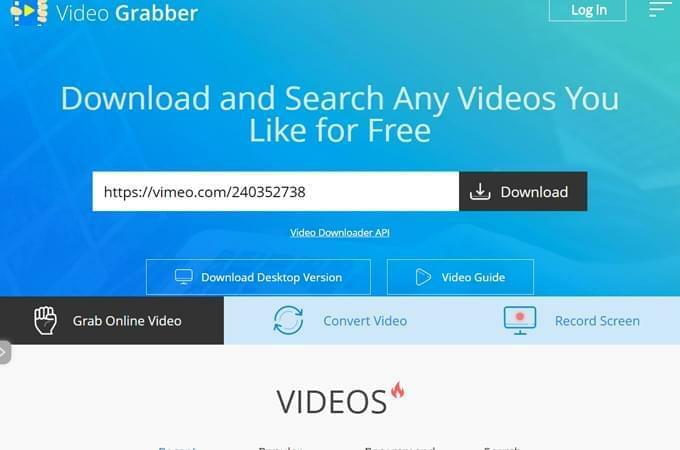 Use the multi-functional Video Grabber Pro to facilitate you to grab flv videos and videos in other formats like MP4, WMV or SWF from any famous and relatively obscure media sites. Actually, there are several different video types. 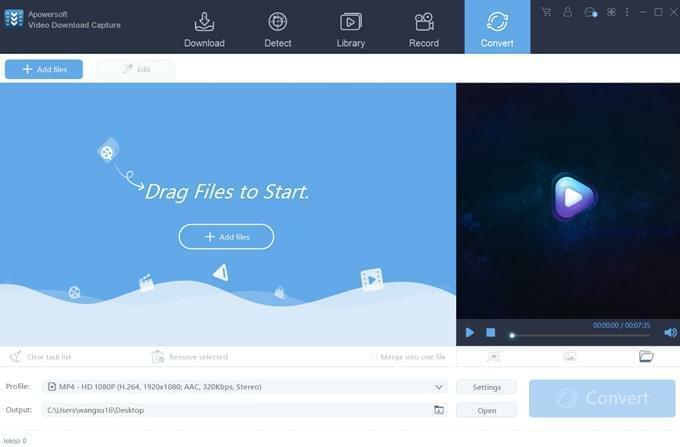 In another word, you may encounter live flv streaming videos when you want to watch NBA match, or protected online TV shows and episodes from Hulu, OVGuide, etc. To grab flash videos from live video sites, the only workable method is to capture video from PC screen. And you need RTMP video record function to get protected flash movies, web series and full episodes. So above useful features are all included in the desktop flash video grabber. After completely grabbing videos off Internet, you may find the video files can’t be play with your mobile digital players. The problem lies in the format of grabbed video is not supported by your devices. In that case, the built-in video converter is ready for coping with the issue. It will help you grab flv videos to formats like MP4, H264 and 3GP. Thereby, there is no problem for you to enjoy desired videos with many more video-playing devices. 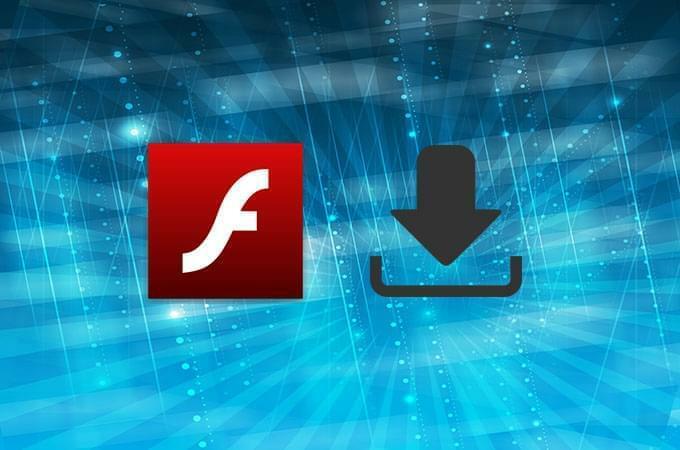 Above are the methods and tools for you to download flash videos. Video Grabber is a free online tool to grab videos while Video Grabber Pro is more powerful than it. In a word, the later one is the best flash grabber. Well I am hoping this app will allow me to finally watch my favorite shows that I've been unable to watch because my tablet doesn't play flash player. I have been getting golf tip emails from PGA Golf Pro Doug Tewell with short game tip flash videos that I would like to be able to play off line. I am going to try this tool to see if I can capture these video tips with your tool to play at my convenience.